I was recently bouncing around a link party, and I saw these crepes at Cookin’ Up Good Times. I literally said to myself, “I’ve never tried crepes before. It’s breakfast time. I’m making them right now.” I’m glad I did. New breakfast food has officially been added to the repertoire. It was as easy, fast and tasty as she promised. Due to a better understanding of blogging, I have since removed the recipe. Please visit the link provided to enjoy this amazing recipe. It remains a family favorite. Just to let you know I featured your wonderful project today on homework. Stop by and grab a featured button. Wishing you a wonderful weekend. Thanks so much, Carolyn! I have added your button to the post and gave out a shout out on my Facebook page. I really appreciate the feature. 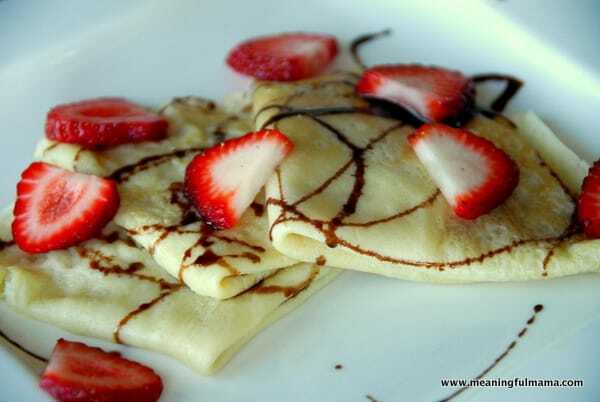 I love crepes. One time I made my preschoolers crepes. I got up extra early, made strawberry filling and whipped cream for them. Only my 2 yr old would eat them. I couldn’t believe it! I even called them jelly rolls so they didn’t think it was something wierd. I got out the powdered sugar too. Nobody would touch them, so I ate all the rest! I think they were just having one of those days because they were so good. Thanks for sharing at Mom’s Library! So glad you tried our crepes, and loved them! Aren’t they so easy? 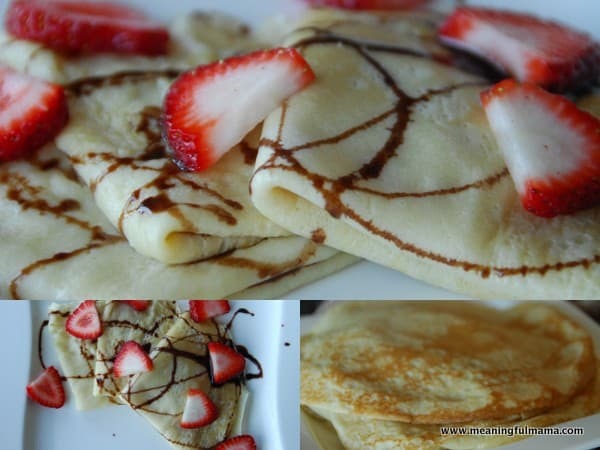 I love going home when I can, because my mom always makes these sweet crepes -yum! They were so good. I’m just glad I found the recipe. Thanks! Thank you so much! I hope you will be back!